68% mindshare amongst India's tech fraternity. 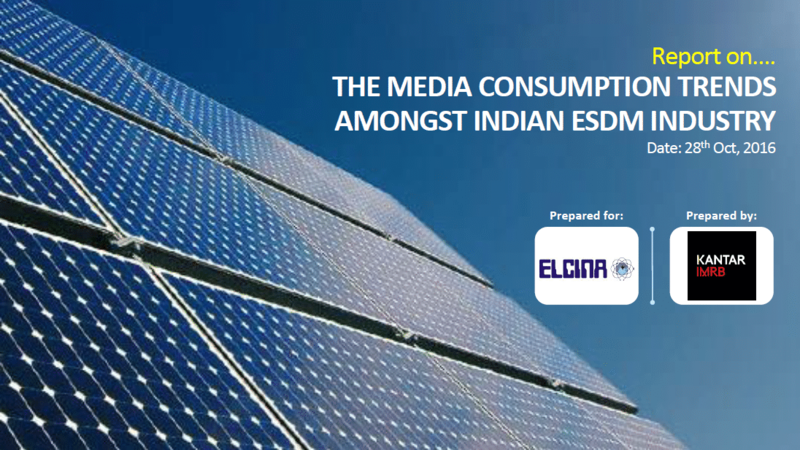 As per the recent ELCINA-IMRB study on 'Media Consumption Patterns of India's ESDM sector'--Electronics For You got a whopping 68 per cent mind-share amongst those surveyed. The number two brand had only 3 per cent mindshare. 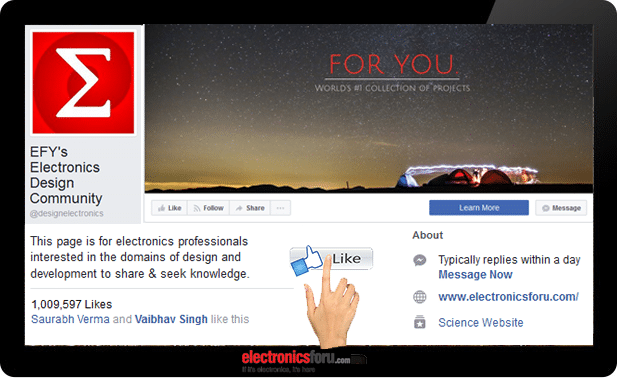 Thereby confirming our belief--that if you want to engage with tech community of India--Electronics For You is your best choice. We believe our thriving Facebook community is a fitting reply to those questions. 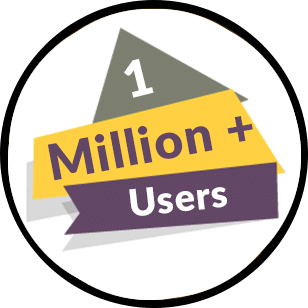 The community has more than a million members and our average monthly reach exceeds 2 million--thanks to the 'Shares' and 'Likes' of our members. 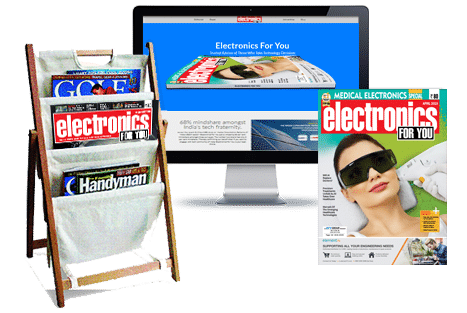 Courtesy our partnership with Magzter, we have the digital edition available as an App titled Electronics For You. You can read the e-zine on your desktop, tablet or a mobile phone. The print edition is available on 2,000-plus news-stands spread across India. 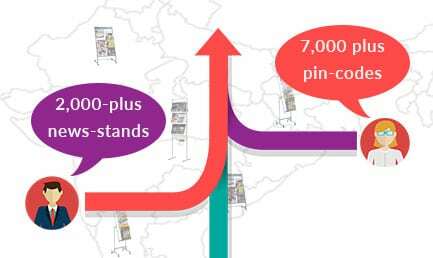 And, our subscriber copies reach 7,000 plus pin-codes.